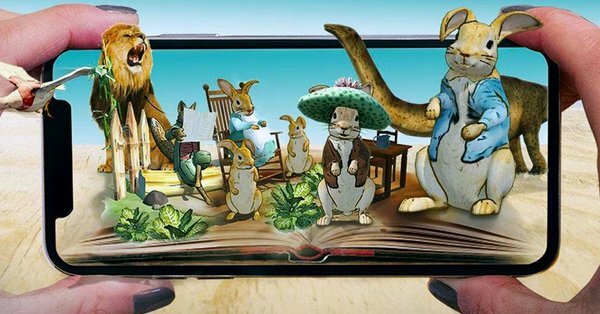 A new app that uses augmented reality to bring Beatrix Potter’s Peter Rabbit to life has launched. The app has been created by AR firm Inception and is called Bookful. It has launched with Beatrix Potter’s beloved books The Tale of Peter Rabbit, The Tale of Jemima Puddle-Duck, and The Tale of Benjamin Bunny. Each of these titles feature both “read” and “play” modes, bringing illustrations to life using AR technology and allowing users to interact with the characters in the stories to augment their understanding and learning. “Read” features a digital version of the book with illustrations that come to life throughout the story. “Play” features activities in which children can interact with characters from each book.